Looking for a hard copy of ALL BETTER? You may be able to find a new copy on Amazon.com from various vendors. 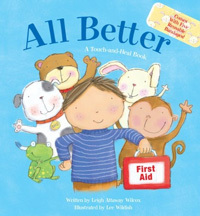 To read additional reviews, click here to visit the listing for ALL BETTER on Amazon.com. If you wish to share a review for listing on this website, please use the Contact Form. Your comments and reviews are welcomed.